Preheat the oven to 350°F. Bake the cake according to the directions on the box. Grease the cake pan with oil, so they are easy to release. Pour the cake batter into two of the molds. You will have to double this recipe to make four cakes. Cook for 35-40 minutes until the middle is cooked. Let the cakes cool for a few minutes before flipping upside down to release them. 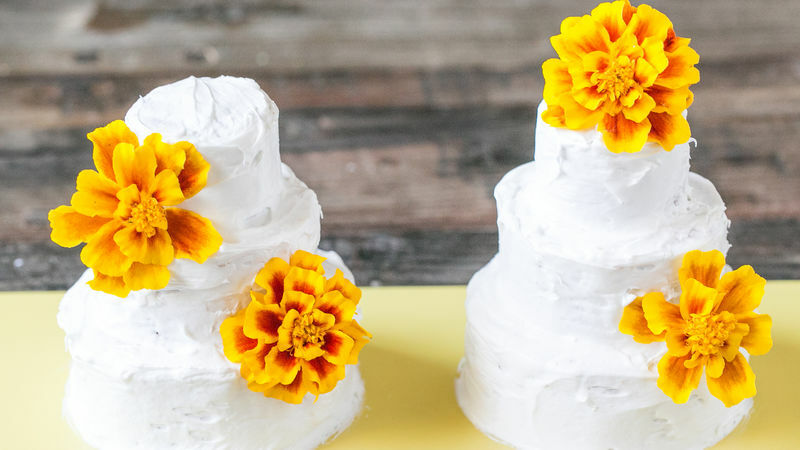 Frost each layer and then decorate with edible flowers such as marigolds, carnations, lavender or roses.